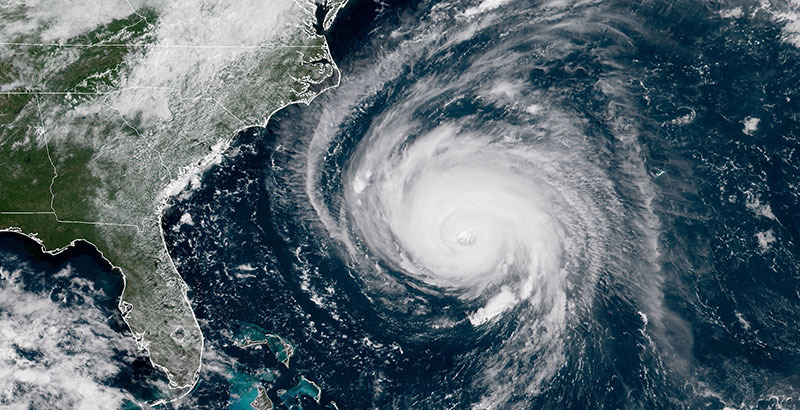 Dozens of schools across three states have announced closures in anticipation of Hurricane Florence, a monster Category 3 hurricane expected to make landfall Thursday evening, canceling class for nearly a million students. Schools in at least 41 districts or counties in Virginia and the Carolinas have canceled class for hundreds of thousands of students because of evacuations, the need to allow schools to be used as shelters for those fleeing the storm, and to free up roads and buses for evacuees to use. Some schools closed Tuesday or Wednesday through the end of the week, while others are waiting until Thursday or Friday to lock their doors. The impending “Harvey of the East Coast” could dump up to 40 inches of rain on some parts of South Carolina and is also expected to cause prolonged rain and flooding in other coastal parts of North and South Carolina, Virginia, and Maryland. Forecasters expect the storm to veer southward and affect Georgia as well. Several high school sporting events scheduled for the weekend in affected states were moved up to earlier in the week or postponed because of the storm. Schools have been preparing students by teaching them the science of hurricanes and making sure they have something to do over the unplanned days off. Florence is currently a Category 3 hurricane and is expected to bring a “life-threatening storm surge” at the coast, intense flooding, and damaging winds, starting Thursday night, according to the National Hurricane Center. Like Virginia and the Carolinas, Georgia, Maryland and Washington, D.C., are also under states of emergency because of the impending storm. Earlier this week, South Carolina Gov. Henry McMaster announced mandatory closures for schools in 26 counties for the rest of the week along with mandatory evacuations in coastal areas. 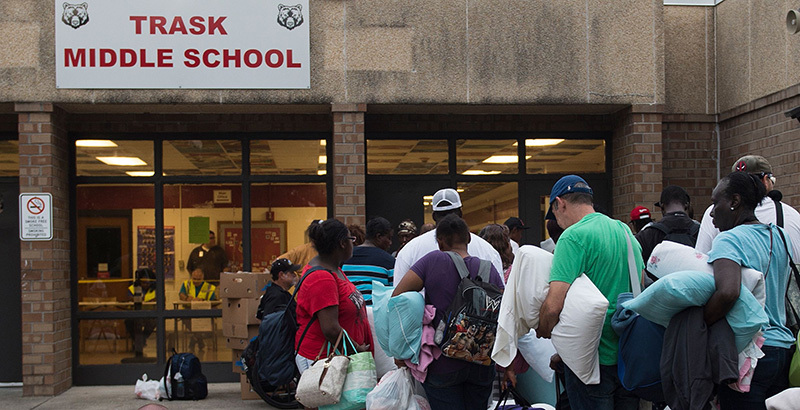 In an unusual move, he later scaled back the evacuations and closures — some of which had been to allow schools to be used as shelters — and schools in four counties reopened on Wednesday. Some schools in Hawaii were closed Tuesday and Wednesday in anticipation of Tropical Storm Olivia, expected to make landfall this week as well, according to local media reports. By Wednesday, the storm had weakened, but it was still expected to bring heavy rain and winds to parts of the state. President Donald Trump has urged residents of affected areas to prepare for the storm and said first responders and the Federal Emergency Management Agency are ready to deal with its consequences.